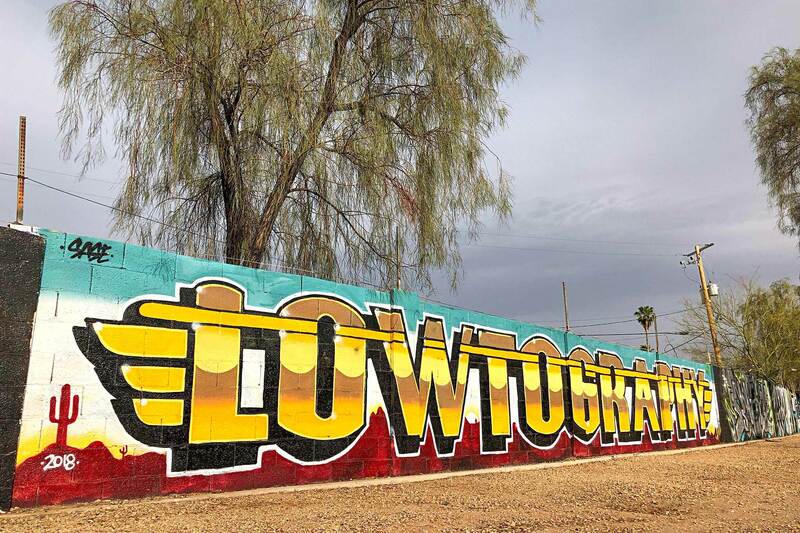 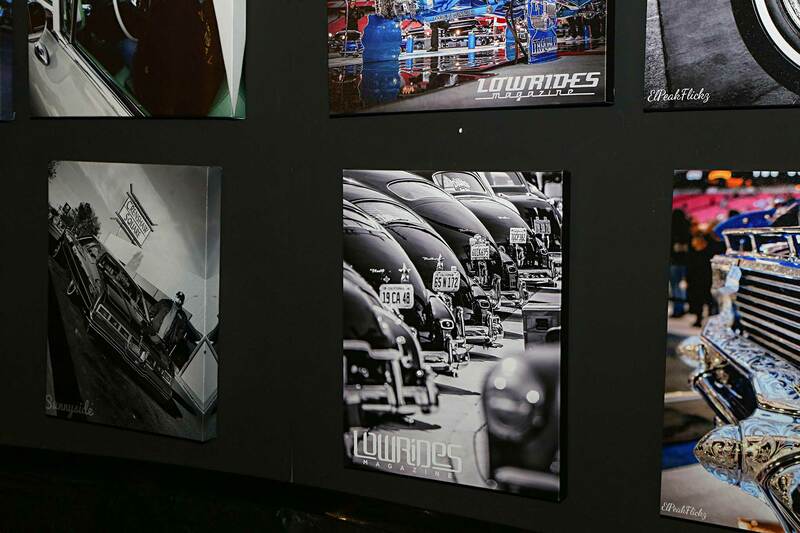 The much anticipated LOWTOGRAPHY event was once again the place to be. 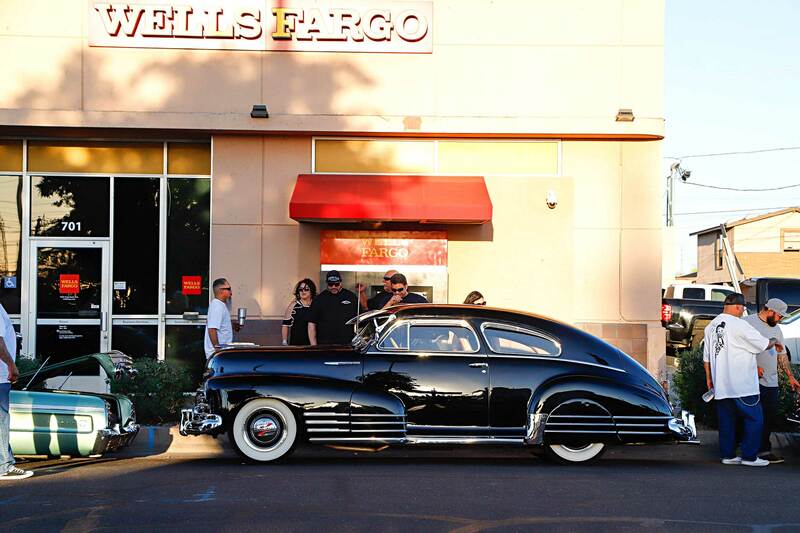 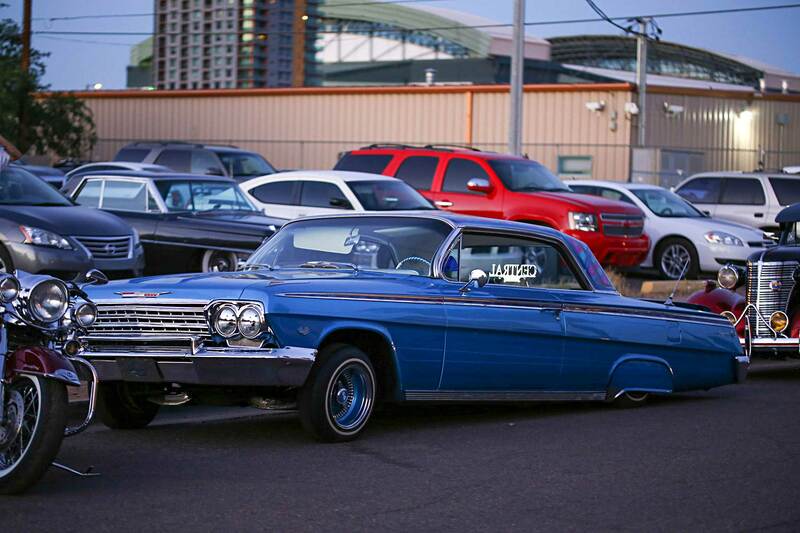 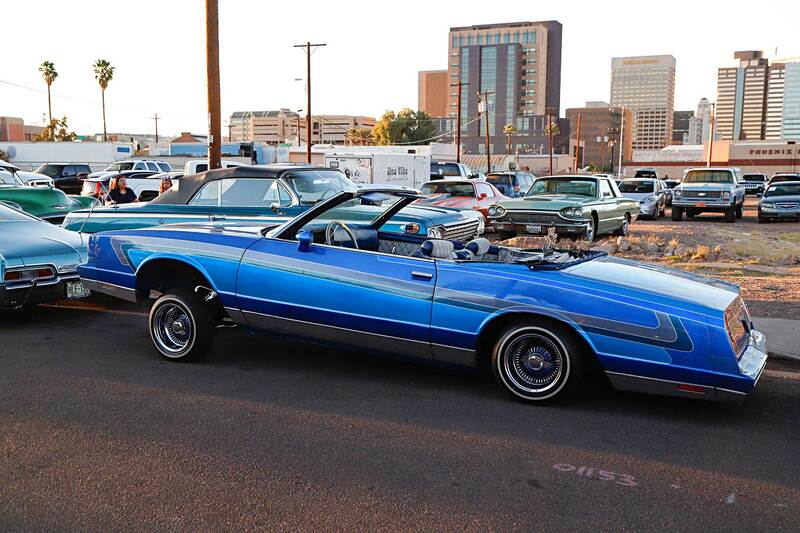 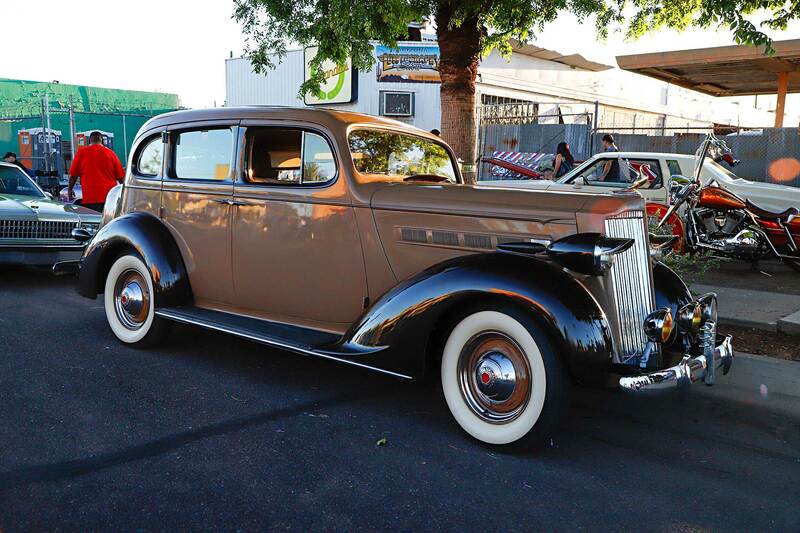 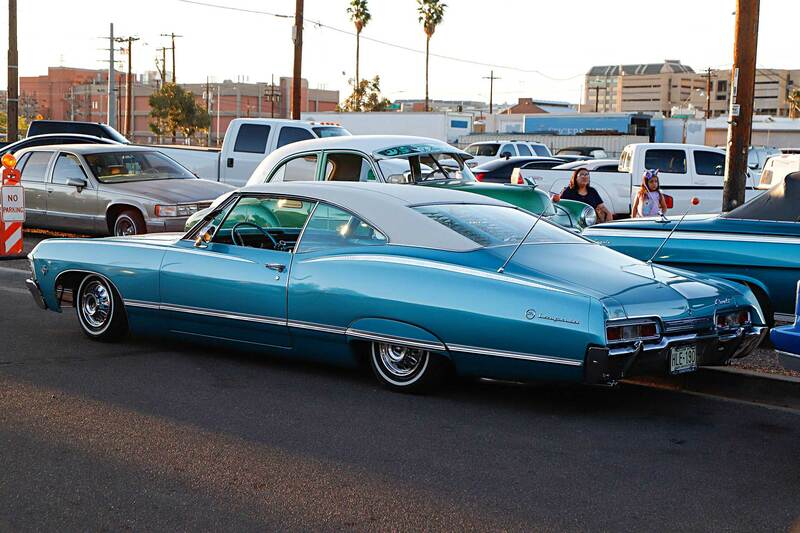 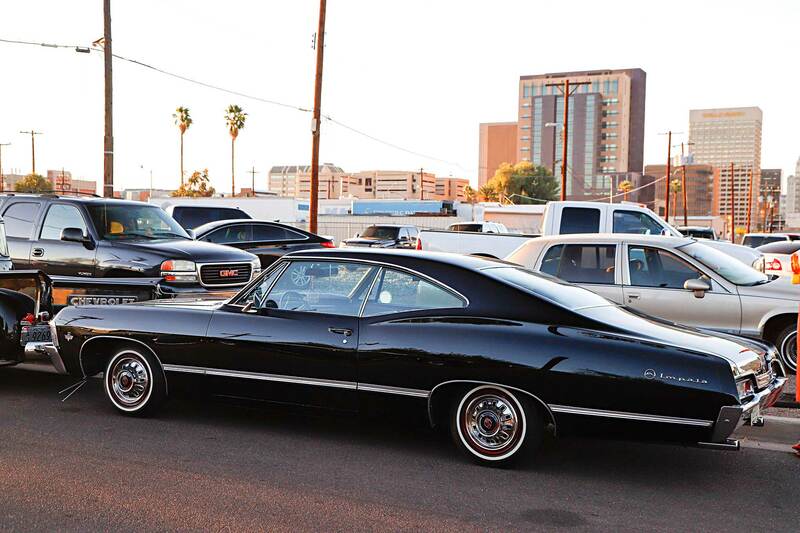 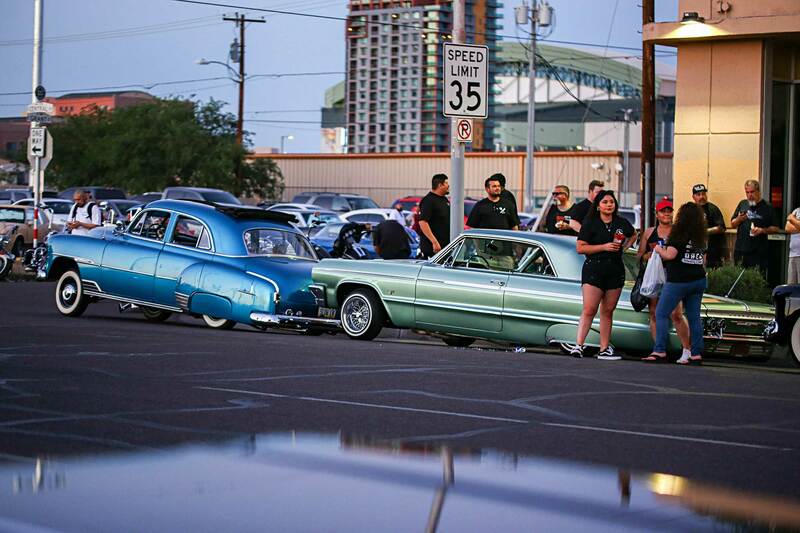 Celebrating its fifth year, this annual event held in Phoenix, AZ did not disappoint. 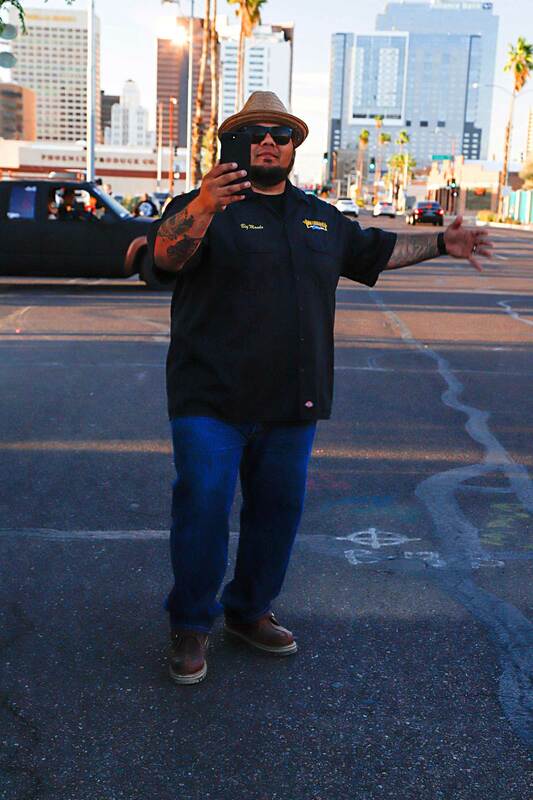 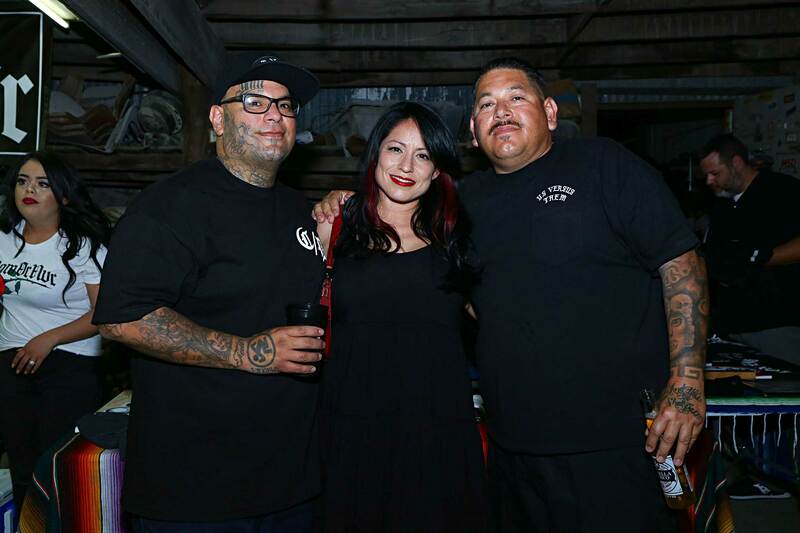 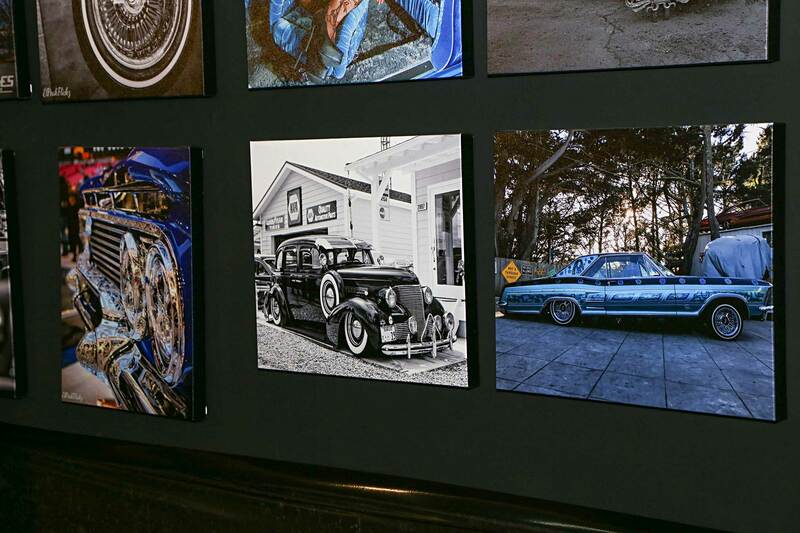 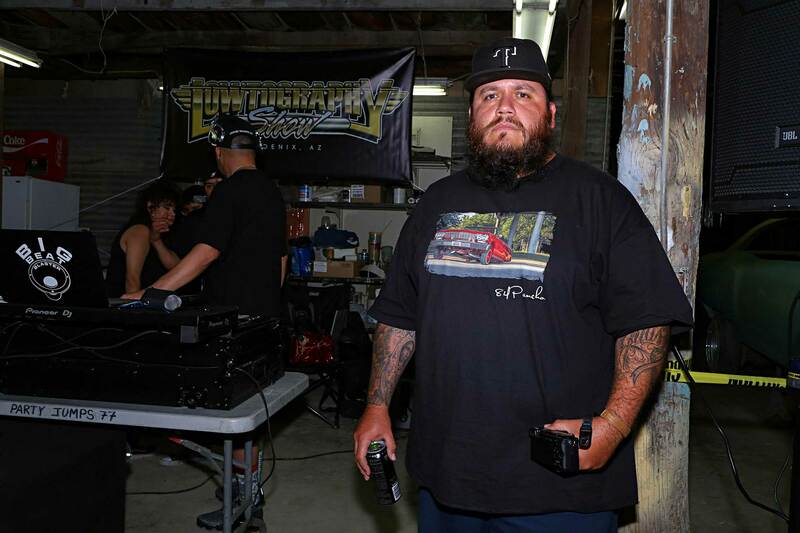 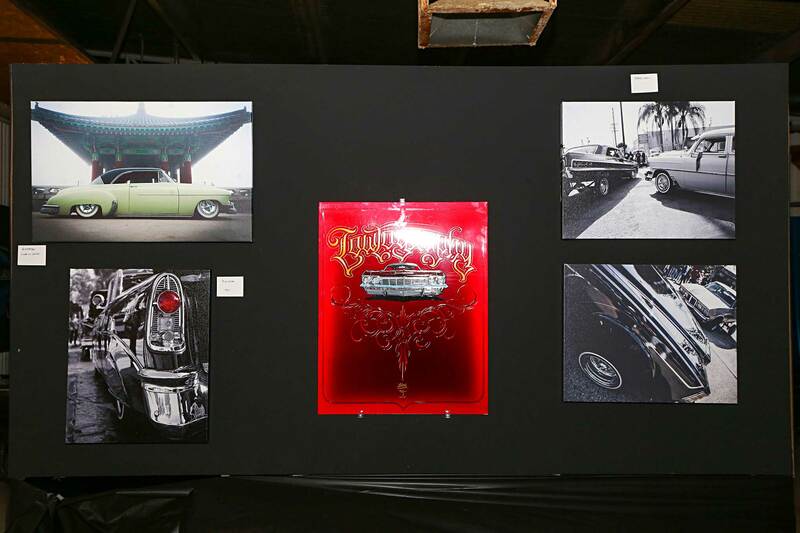 An event that began as a platform for photographers who specialize in capturing the lowrider movement has now evolved into a cultural “must-attend” happening. 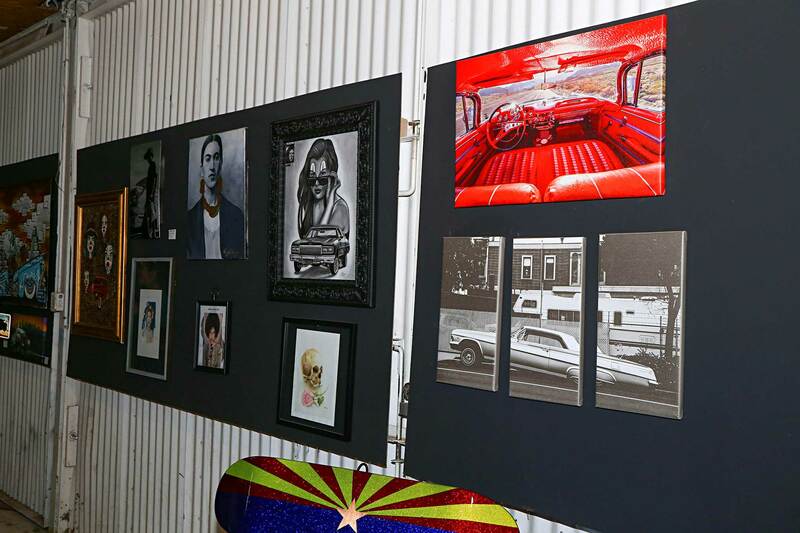 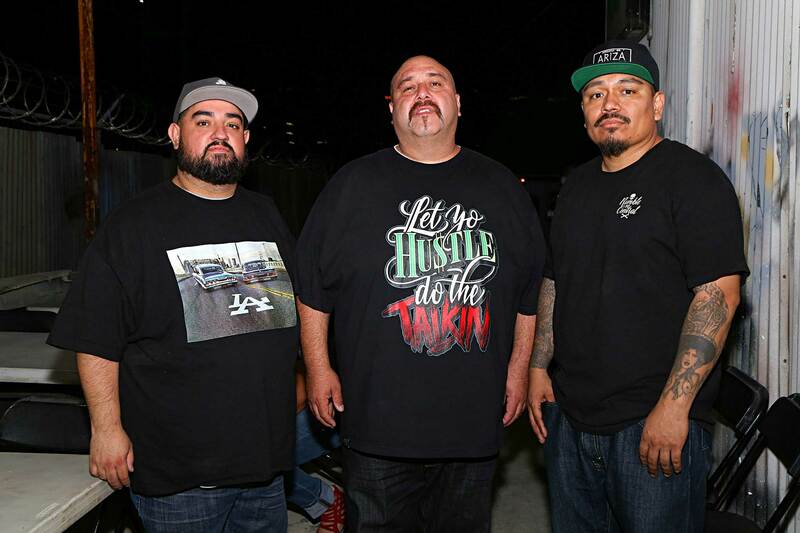 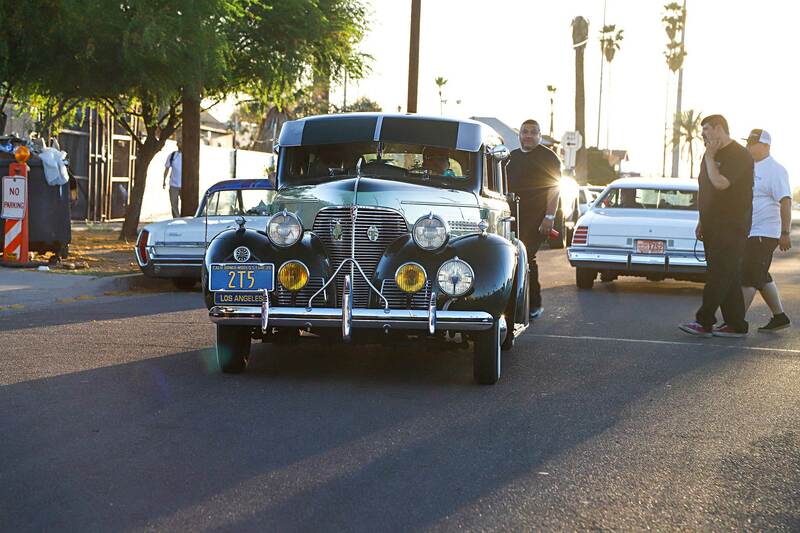 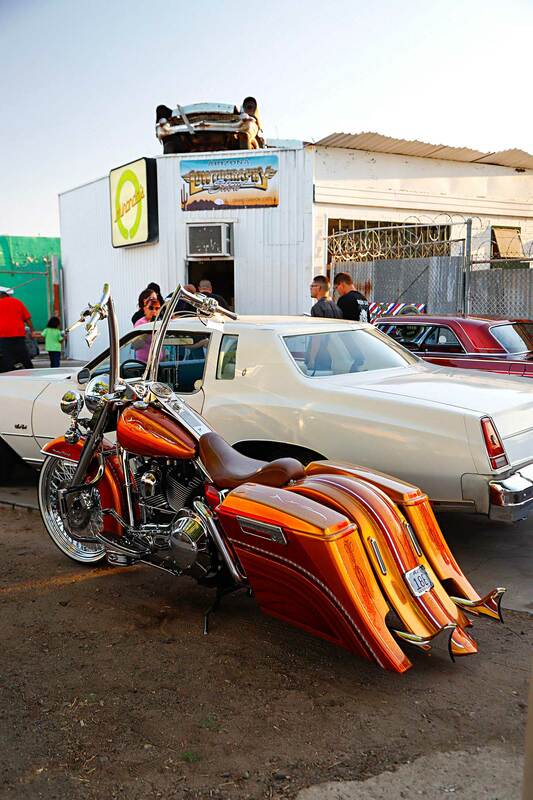 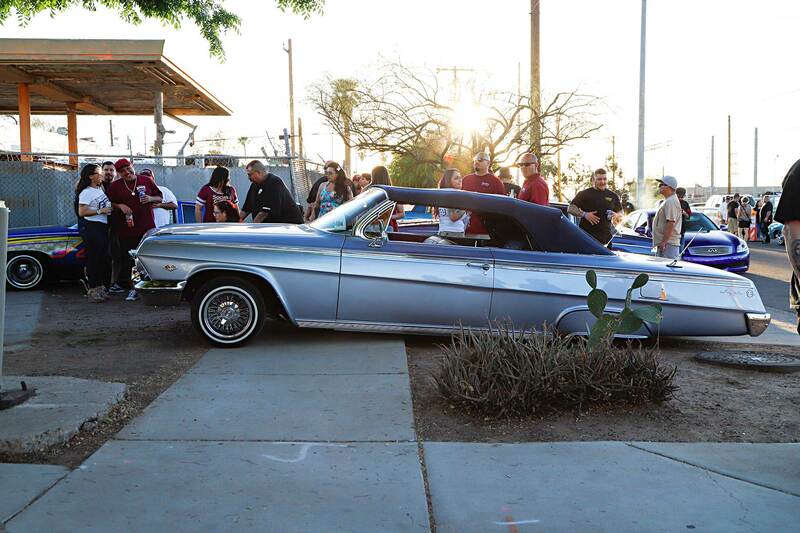 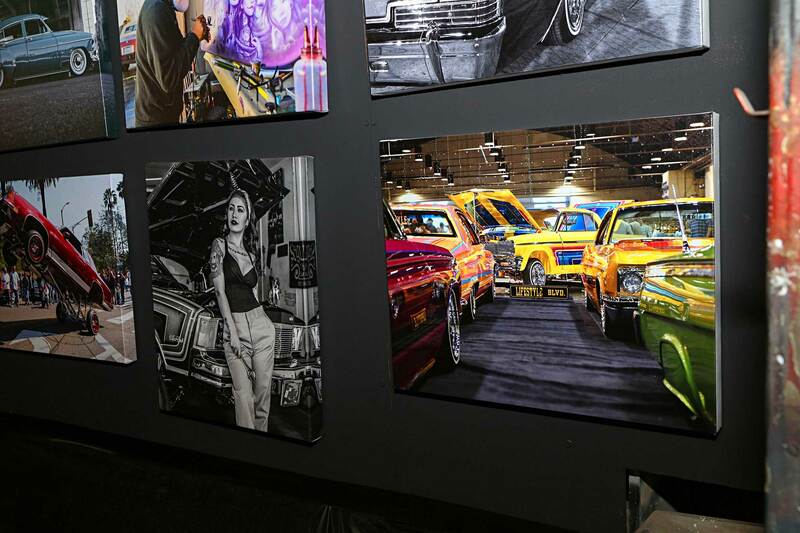 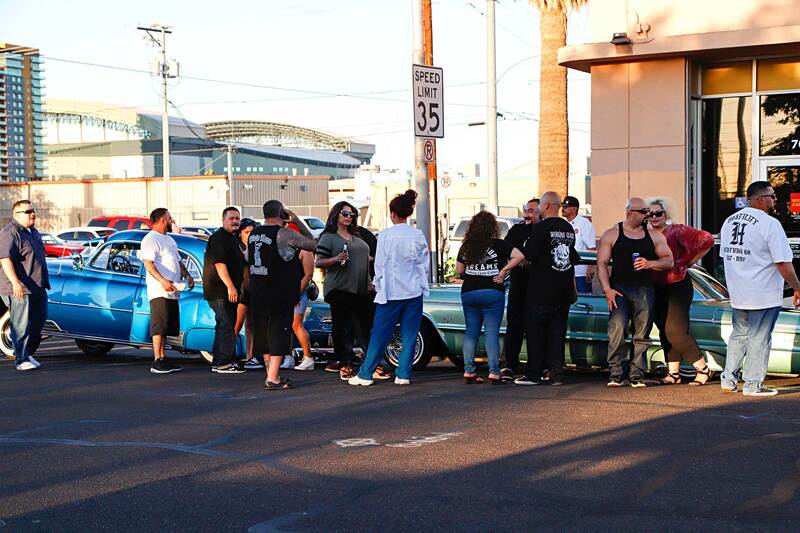 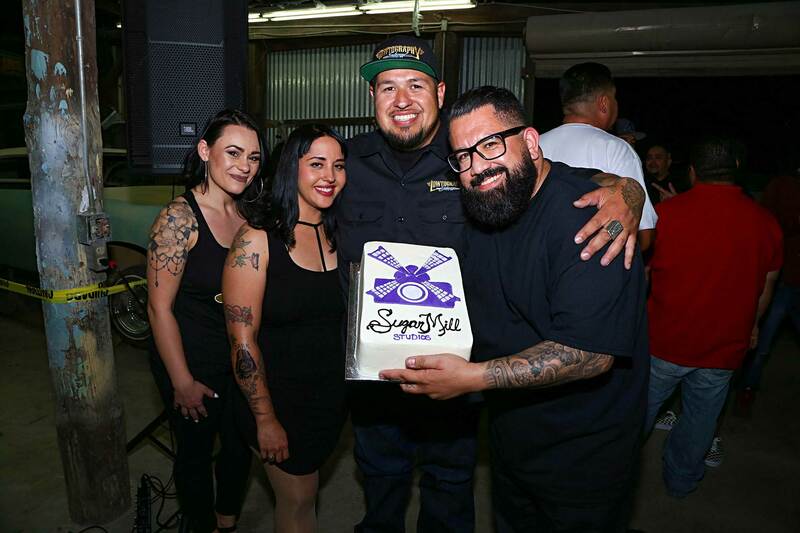 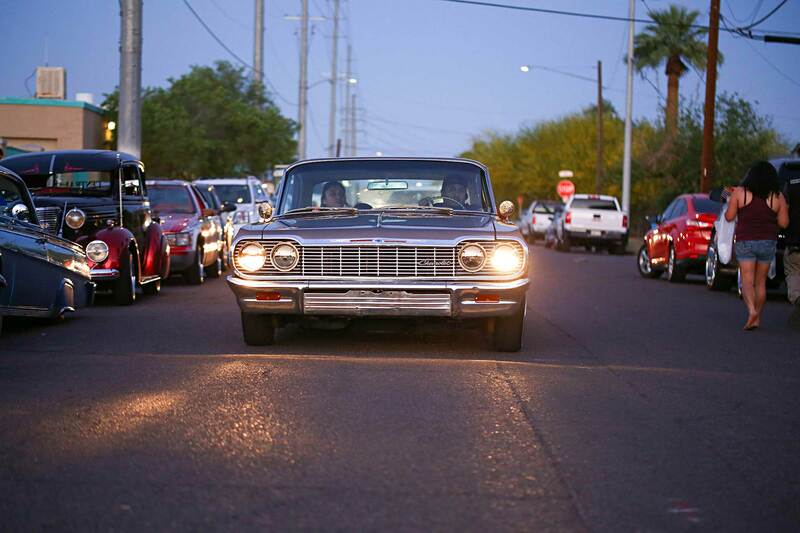 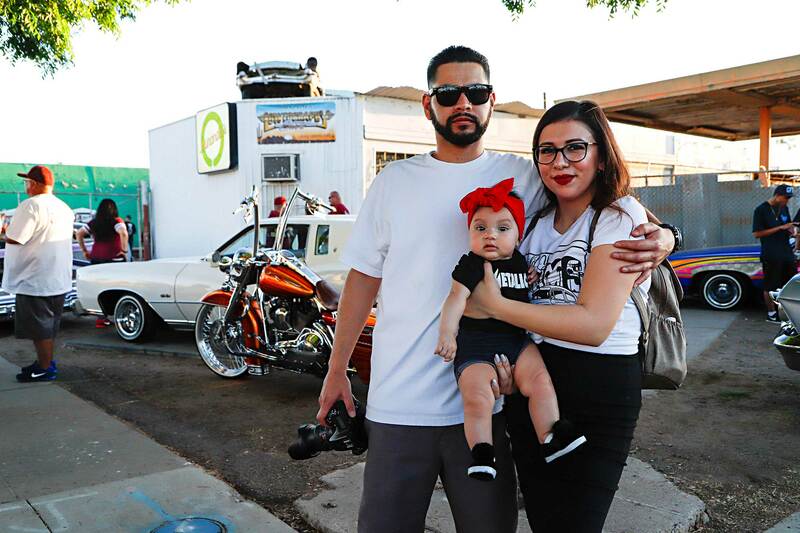 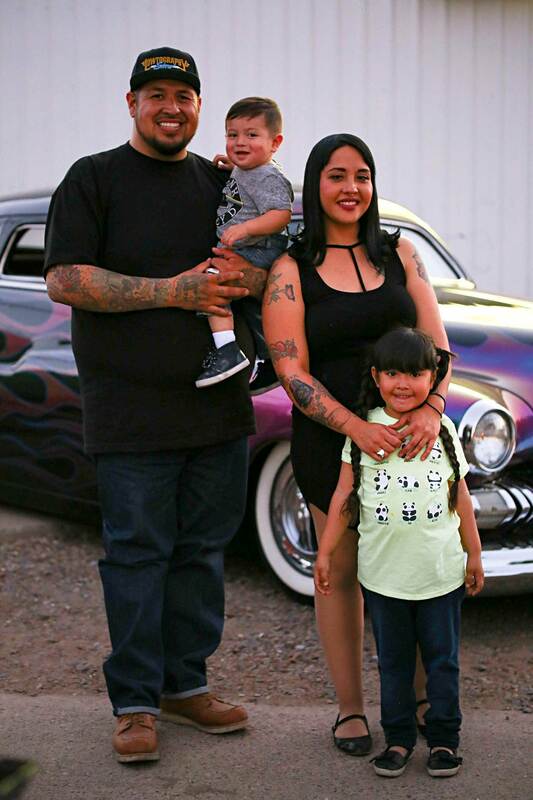 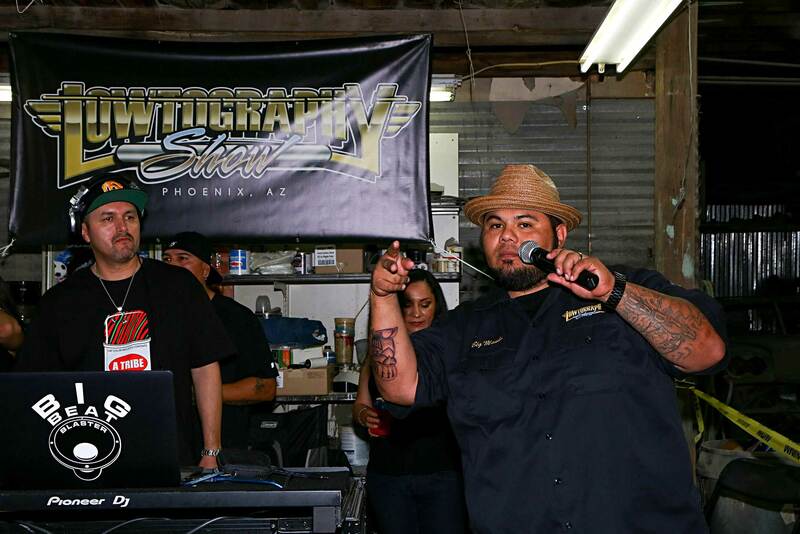 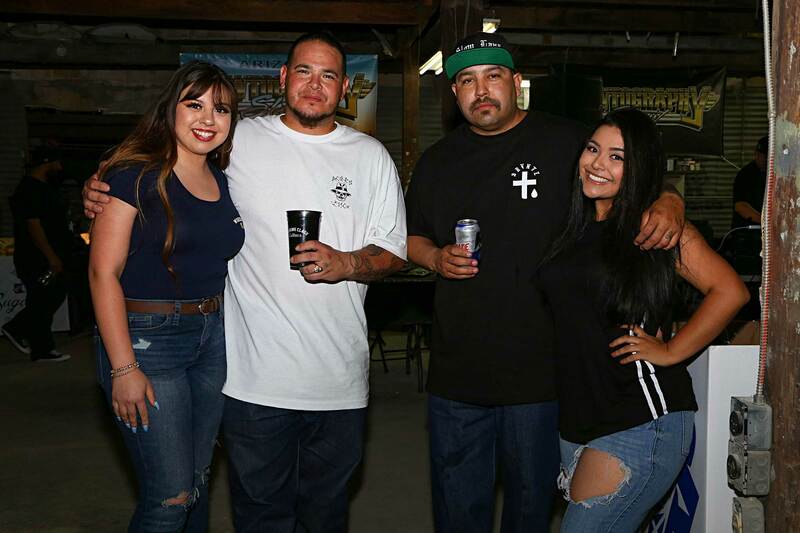 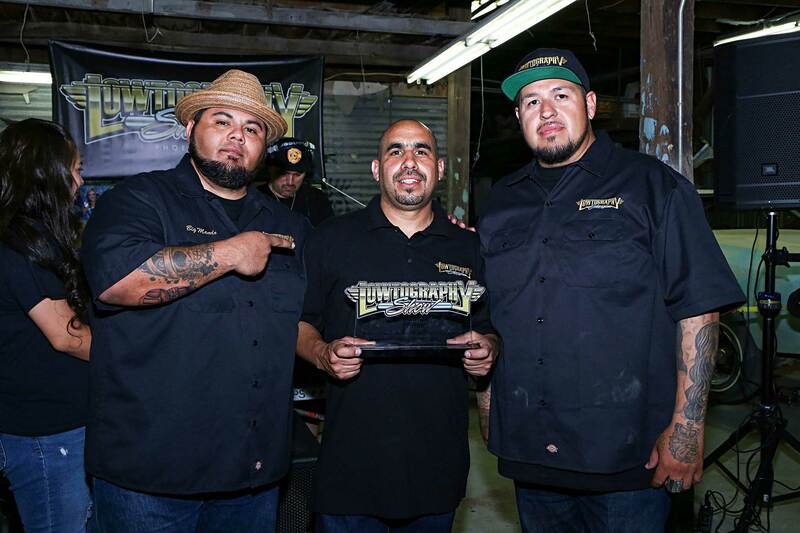 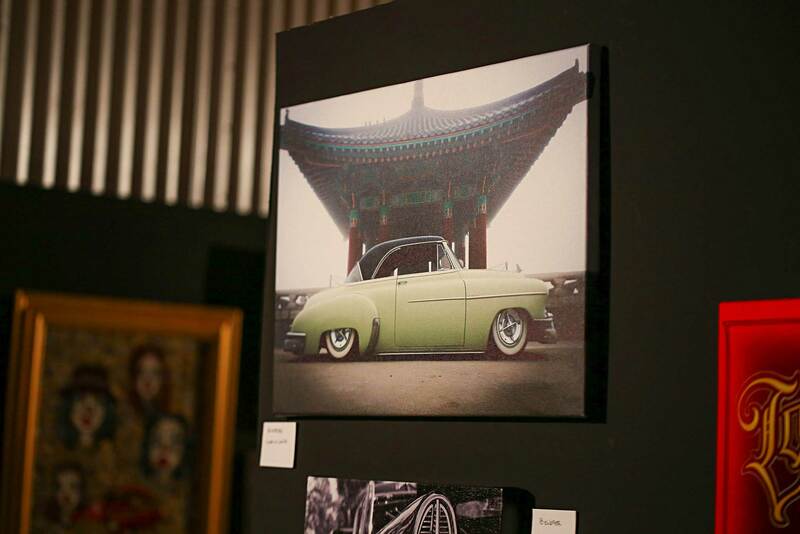 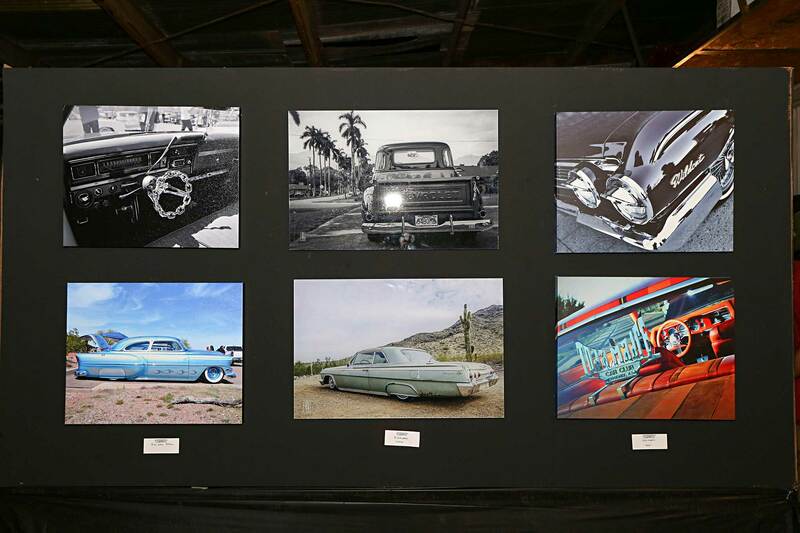 While the artistic works of these photographers are still the main attraction, this grand stage has now grown to include a carshow, music and an array of vendors, each reflecting various aspects of the Lowrider world. 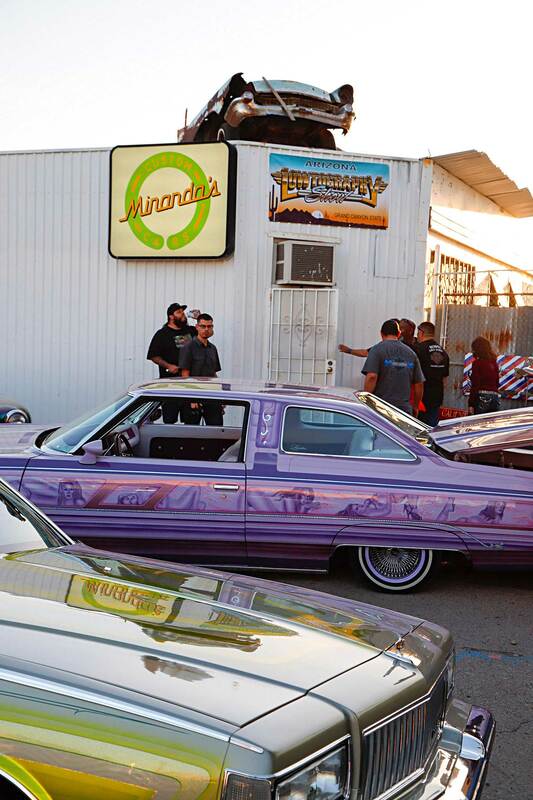 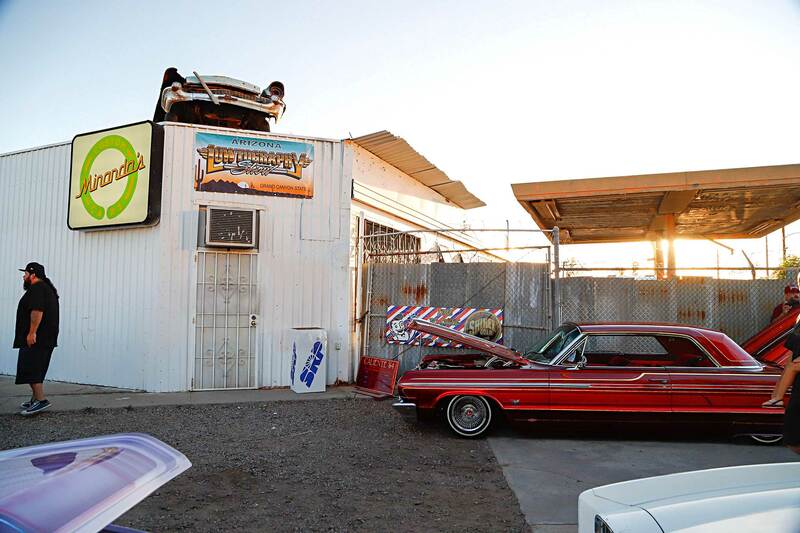 The legendary Miranda’s Customs shop served as the perfect backdrop for the special invited photographers, which also included entries from California, Nevada and as far away as Japan. 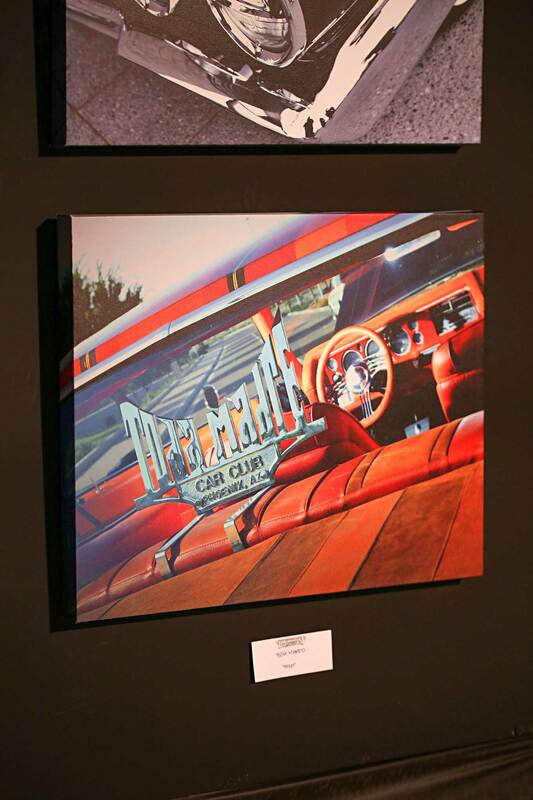 Their canvas entries were as diverse as their photographic styles. 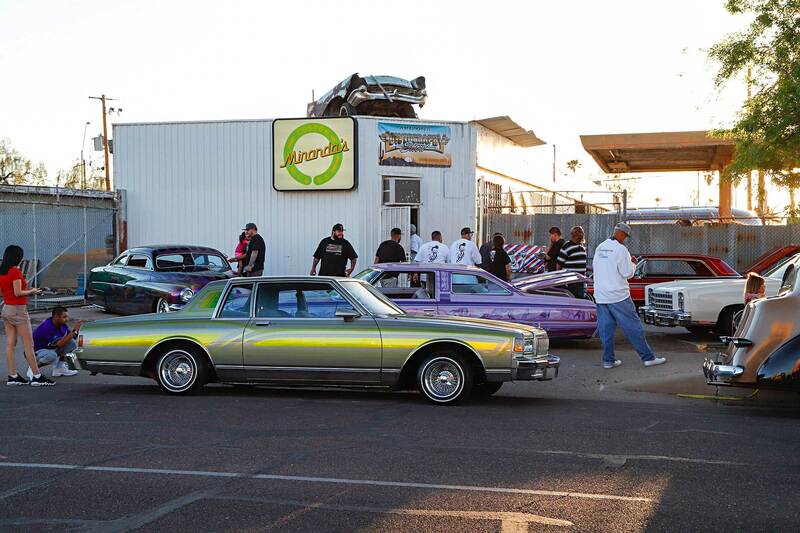 The outside area of the event was a show in itself. 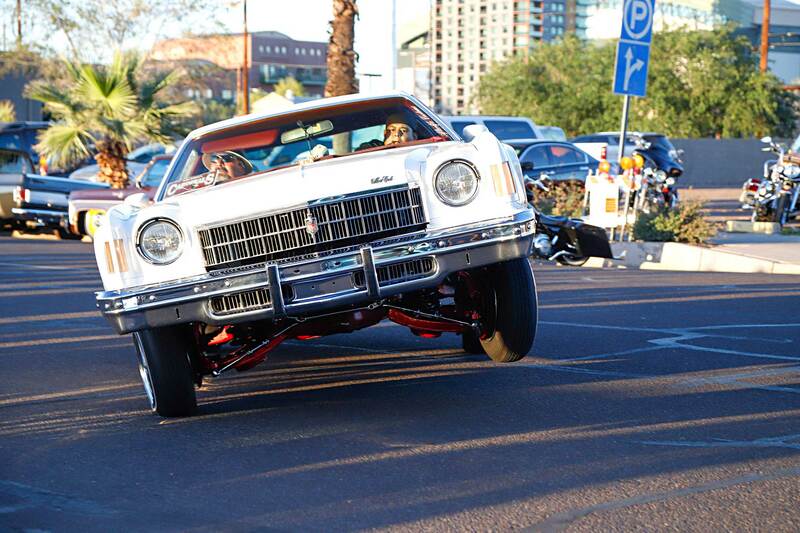 With local car clubs like Society, Slow Lane and Central out in full force, their show stopping cars gave the crowd plenty to look at. 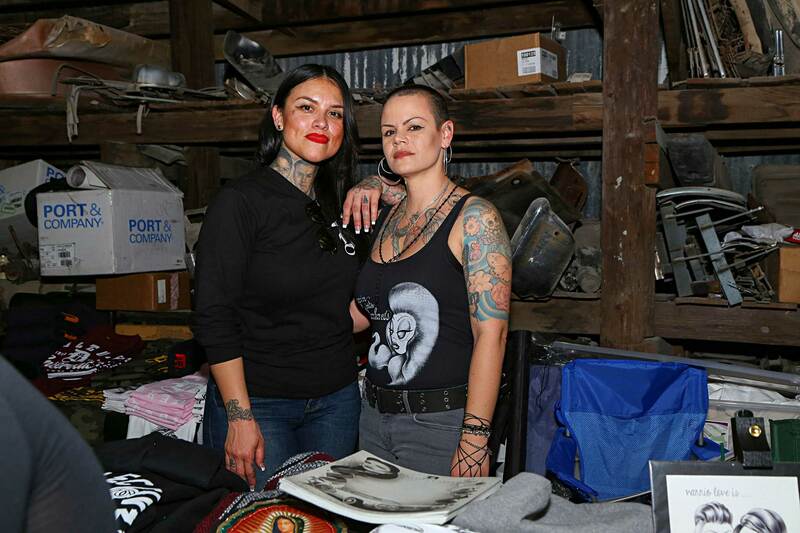 Inside, Vendor Row treated the hundreds of attendees to a multitude of shopping options. 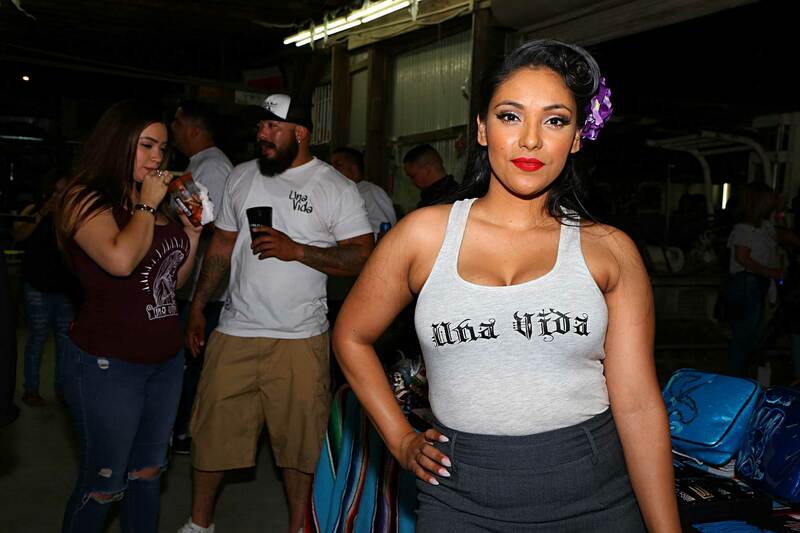 Skate Board Connection was out with their new skate deck designs, Una Vida displayed their assortment of t-shirts and the Working Class Cultura crew had, as usual, a never-ending line of customers. 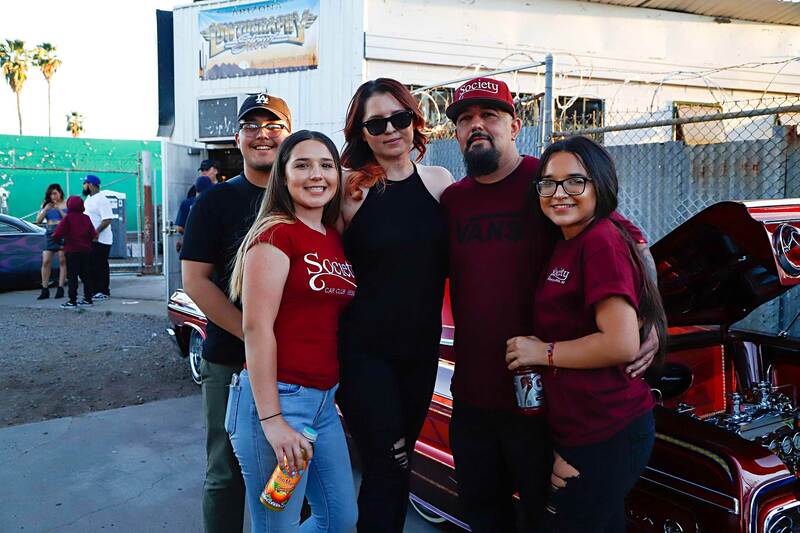 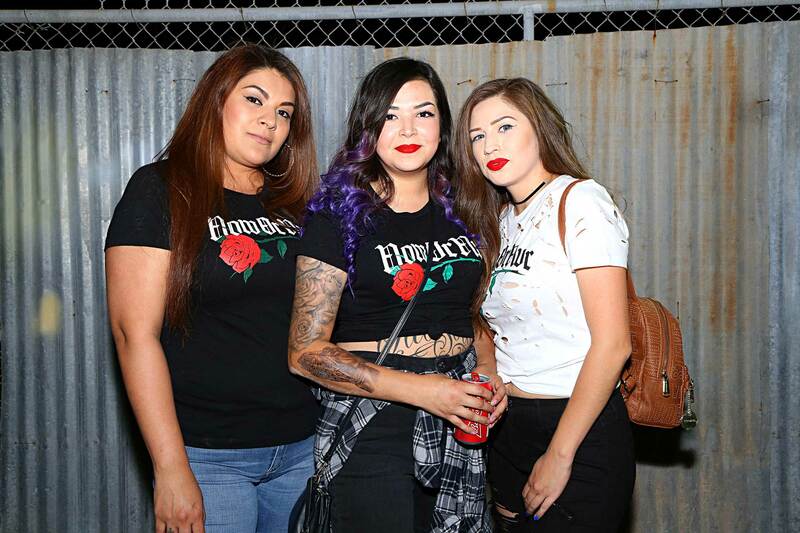 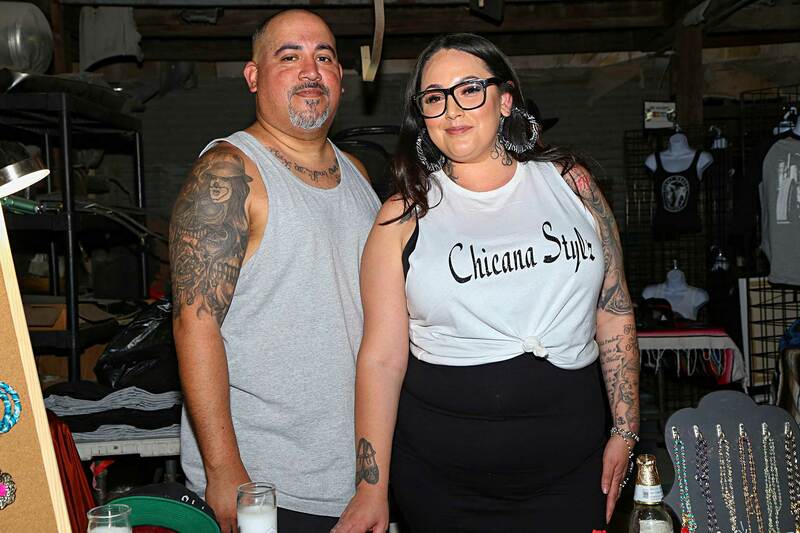 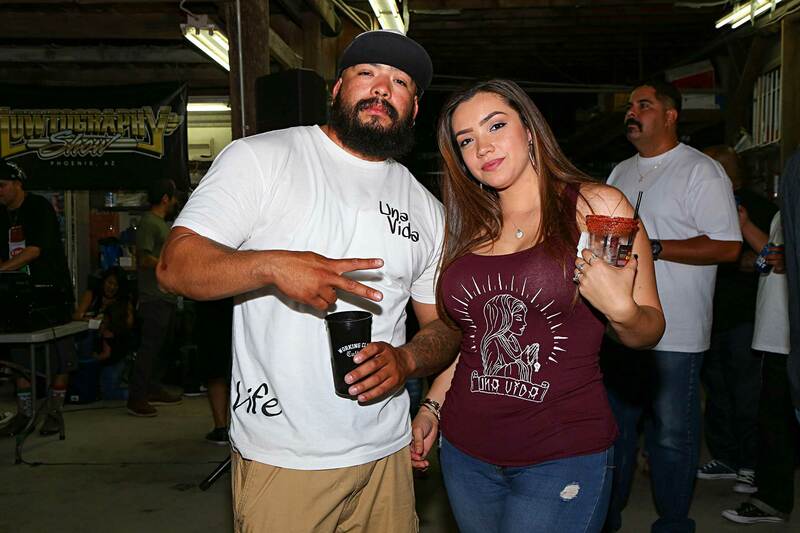 Chicana Stylz came all the way from Northern California and Las Vegas’s own The Queen Hearts clothing line had their crowd favorite “More Bounce to the Ounce” tees on sale. 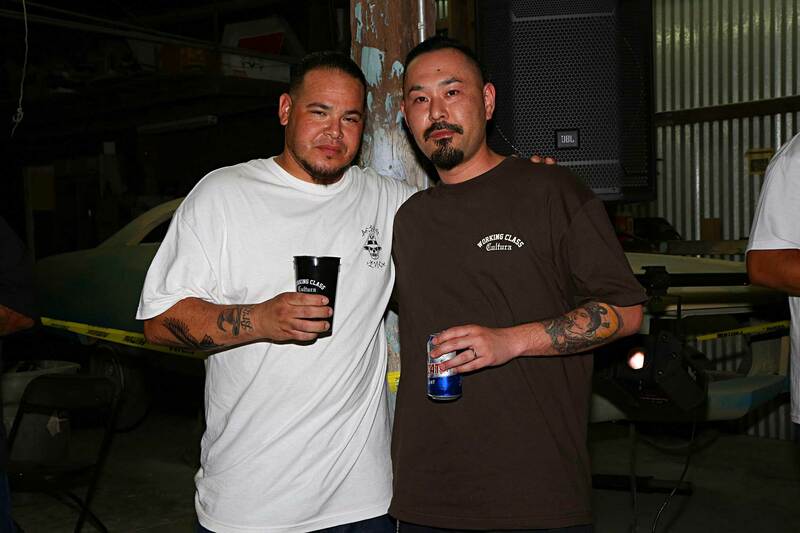 The event’s highlights would include dancing, as well the interactions between friends, both old and new. 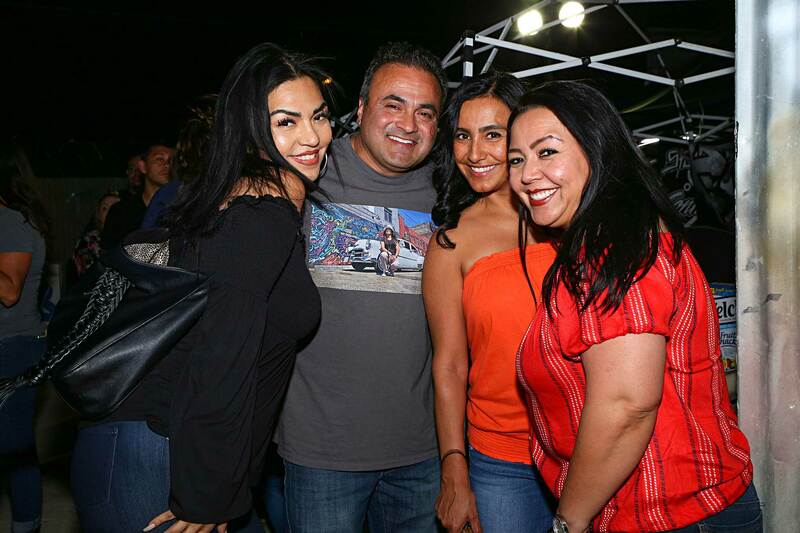 While the power trio of founders Mando, Rudy and Chuck are already working on next year’s event, it’s hard to imagine how they will top this year’s memories. 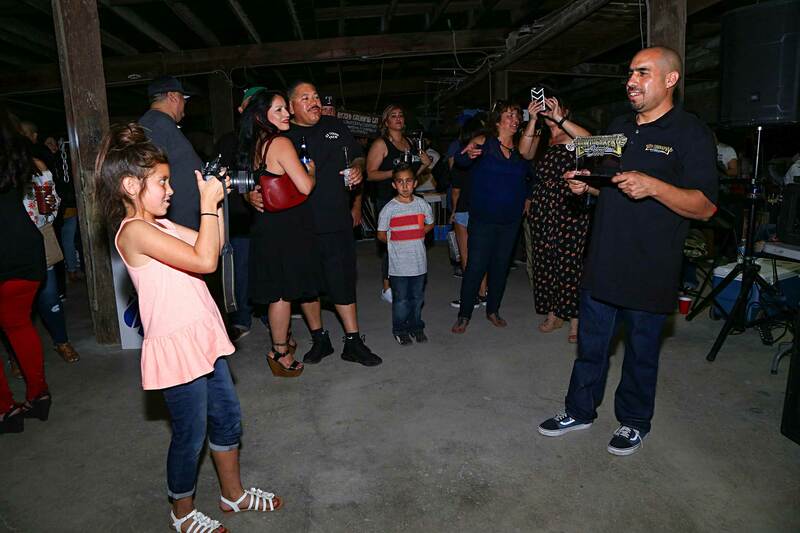 We can rest assured there will not be a shortage of people in attendance to capture it.